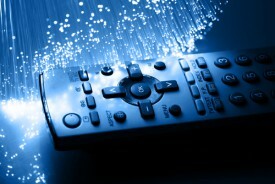 Home › Technology › Are You a Tech Early Adopter? You Should Be! If she wanted to impress me, she didn’t, and she didn’t get the job. I couldn’t believe that someone who was making a career in media, admitted with pride, that she wasn’t a heavy consumer of TV and of several other media types. Now this was in the early days of the Internet, so that wasn’t her excuse (nor should it be now), but regardless, I believe anyone in advertising, not just media, but account service, creative, digital, clients and agencies alike, should at least sample all media, should watch some TV, should have a Facebook and Twitter account, and more. 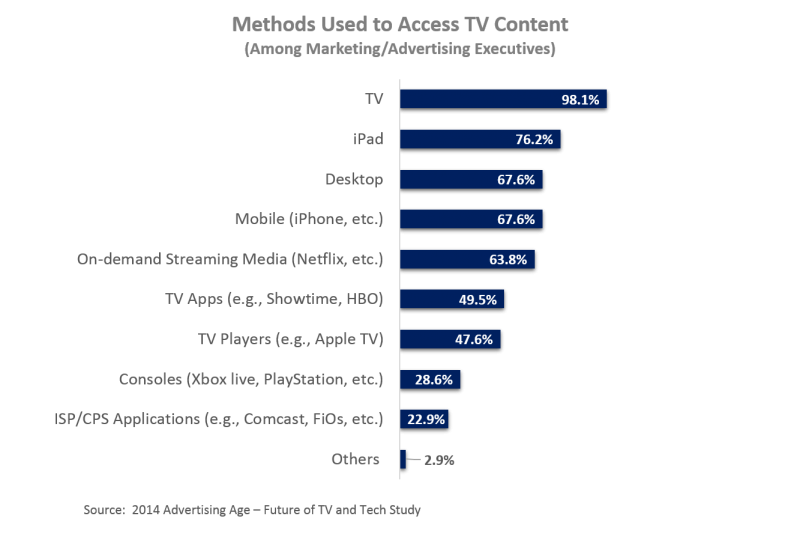 Technology has dramatically altered the TV viewing habits of marketing and ad agency executives, who are often (and I believe, should be) on the cutting edge of new media trends. With the proliferation of mobile devices (according to eMarketer U.S. smartphone penetration will reach 80% this year and tablet penetration will reach 64%) viewers are now watching content on multiple devices at their own convenience. We need to talk the talk, walk the walk on this subject. Yes, we can and do rely on our subject matter experts in this area, but we need to individually experience these devices and platforms from a consumer standpoint. Those that are already early adopters of TV technology devices should be commended, those that aren’t, it’s time to get on board. Check out the complete Ad Age report here.